JCW Brake pads for R55 R56 R57 R58 R59 MINI Cooper and Cooper S with big John Cooper Works Brembo brake kit. 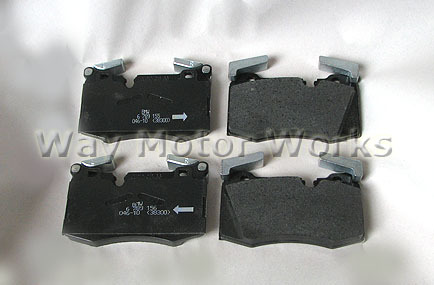 These are the OEM MINI pads not cheap aftermarket pads. Come as a set of 4, enough for pair of front MINI JCW calipers.